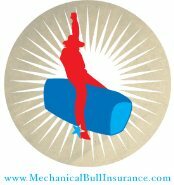 Mechanical Bull Insurance.com was created to meet the insurance needs of mechanical bull operators across the United States. Our insurance carriers 'A' rated by a.m. best (www.ambest.com). We take great pride in providing superior customer coupled with great coverage and pricing. We hope to work with you soon. Content Copyright 2015. Brokers License # 0778092. All rights reserved.